In April 1982, Argentina surprised the world by invading the Falkland Islands in the Atlantic Ocean. The tiny islands had long been the subject of a fierce territorial dispute between Argentina and the UK, and the occupation quickly escalated into a terrifying full-blown conflict between the two countries. "Part One - Fatal Miscalculations - The Killing Begins", the first volume, describes the response to the invasion: amidst a round of defence cuts, the armed services were asked to conduct a war half-a-world away. How did they meet the logistical challenge? How did the first engagements with the enemy match expectations? 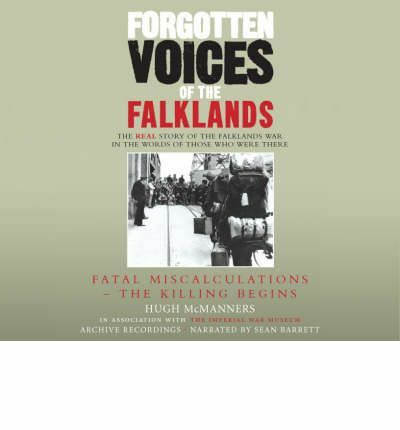 Drawing upon the vast resources of the Imperial War Museum's Sound Archive, "Forgotten Voices of the Falklands" presents the first complete oral history of the Falklands War. This audio book is a unique and essential chronicle of the conflict from all sides and perspectives, told in the participants' own voices.